1962 represents a milestone year for our family business. It was the year that Bettys, now under second-generation family ownership, acquired another Yorkshire firm – a family tea and coffee merchants, C. E. Taylors & Co – establishing the foundations for the business we are today. 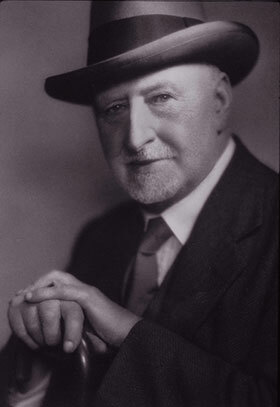 Taylors was founded in Leeds in 1886 by an enterprising tea merchant called Charles Taylor. With the financial support of his brother, Charles set up a tea and coffee business in Leeds. 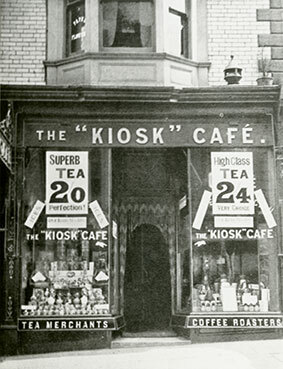 A few years later Charles opened a number of ‘Kiosk’ tea and coffee shops. These included tasting rooms where local guest‐house proprietors could come to taste and choose blends suited to their local water. They were also busy, bustling cafés – like the old London coffee houses – where local businessmen met to talk and work. Charles quickly established a reputation for quality, winning a gold medal for coffee roasting at the 1896 London Grocery Exhibition. In the same year he opened a Café Imperial in Ilkley, with a second following in Harrogate in 1905. 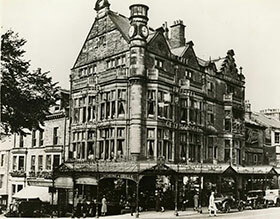 The two businesses may never have become one, if it hadn’t been for an overheard conversation in Bettys in Harrogate. The story recalls that in early 1962 Miss May Carter, the café manager (who by virtue of having worked for Bettys for forty years had surely earned the right ‘to use her discretion’) overheard a conversation about the Taylors family putting their business up for sale. Victor Wild, Bettys Managing Director, was tipped off – and very soon he made an offer of the £180,000 asking price.